This one is innovative and the brand name suggests that this one would be really sought after in India. This is the new smartphone “Dell Venue Pro” which has been recently announced at the Microsoft's Windows Phone 7 launch event. It will be a trendy choice just as it ally Dell Streak. Earlier known as Dell Lightening, the new name has been bestowed this smartphone which was announced long back in April. This new gadget wraps some interesting features inside it such as a 4.1-inch OLED screen protected with Gorilla Glass. 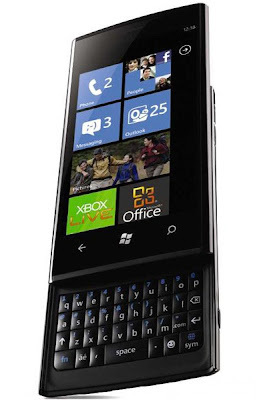 It also sports a smart portrait QWERTY keypad. Now that this amazing smartphone has been unveiled, its specifications can be given a glance to decipher that whether it has what it takes to perform or it is just another hyped peice of mobile phone with which Indian handset market is studded with. It has a unique, one of its kind portrait slider with a 4.1-inch touchscreen and a portrait QWERTY keyboard which is not that large but quite easy to use even with one hand. Dell Venue Pro would be sold by T-Mobile from the month of November and is expected to be available widely in India by early next year. The price details are not yet known. Dell Venue Pro screen has been made by Samsung and this multi-touch display with Gorilla Glass is understandably durable and resistant to physical assaults. 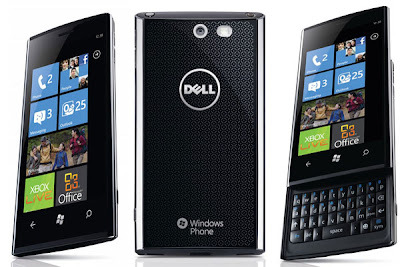 Similar technology has been used in the recently launched Dell Streak tablet-smartphone also. Inside it, Dell Venue Pro works on a 1GHz Qualcomm's Snapdragon QSD8250 microprocessor which makes it run smooth with 1GB ROM and 512MB DDR SDRAM. Taking pictures with this WP7 is a delight as it packs a 5 MP autofocus camera. It supports video formats as H.263, H.264, 3GP, MPEG4, WMV and DivX and will give some tough competition to Android 2.2 and Bada OS smartphones from Samsung that are probably the only ones to support DivX. Dell Venue Pro also includes connectivity features as Wi-Fi *(802.11 b/g/n) and Bluetooth 2.1 EDR.There is a big 1400 mAh battery laid out for giving enough talktime to users. Other features include G-sensor, e-Compass, light sensor, proximity sensor, FM Radio and GPS.